While the world’s attention is fixed on IS in Syria and Iraq, it’s easy to forget that last year, French troops were rushed to Mali to prevent a jihadist-influenced coup that threatened to take over the country. This swift intervention meant that the coup which took over much of the north was halted. For nearly a year in 2012 armed Islamist groups had ruled that region, banning the practice of other religions and desecrating and looting churches and other places of worship. Thousands, including many Christians, fled the occupation and found refuge in the south of the country or in neighboring countries such as Niger and Burkina Faso. Now amidst a new upsurge of jihadist activity in the north, Mali’s Catholic Bishops have expressed their concern over the security situation in the whole country. 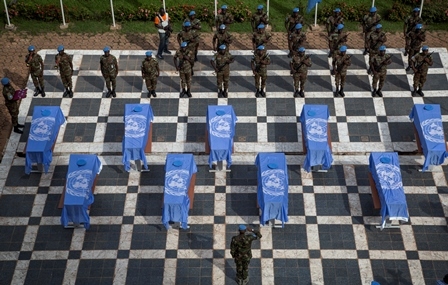 A recent series of attacks by militants has targeted mainly UN peacekeepers. Yesterday October 7th, a Senegalese UN peacekeeper was killed in an attack on a joint French and UN camp in the northern town of Kidal. On Friday October 3, gunmen on motorbikes ambushed a UN convoy near the northern town of Gao; nine peacekeepers from Niger were killed. The attack was claimed by The Movement for Oneness and Jihad in West Africa, an Islamist group widely known by its French acronym, Mujao. Mujao, with two other jihadist groups – Al-Qaeda In the Maghreb (AQIM) and Ansar Dine – occupied northern Mali for about 10 months in 2012 before being ousted by the French in January 2013. In total 31 peacekeepers have lost their lives, and 91 been injured since the deployment of the UN Stabilization Mission in Mali (MINUSMA) in July 2013. During the UN General Assembly, Secretary General Ban Ki-moon said the situation in northern Mali is ‘extremely precarious’. In their statement, the Bishops said ”While the situation remains worrying in the north, given the bombings and other frequent attacks perpetrated against UN peacekeepers, and peaceful people who want to resume a normal life, the socio-political situation is not that better in the south”. More efforts are needed to fully restore peace and security, they urged. While deploring the increase of attacks, the Bishops called on all armed groups and all citizens to work for the peace, unity and prosperity of Mali. ”We urge all Malians to put first the interests of Mali over all other interests while the house is in danger, and when we need to stick together to save it. Mali is our motherland that we must build together based on cultural, religious and ethnic diversity. ”Therefore, we must learn again the meaning of this country…the meaning of citizenship” read the statement, issued at the end of the Episcopal Conference of Mali, held on September 24-26, 2014, in Bamako, the capital. The return of the jihadists has raised concerns among the general population, particularly in the north. A community leader, speaking on condition of anonymity, confirmed to World Watch Monitor the presence of jihadists in Timbuktu. “We have seen them [Islamists] in our midst, easily recognizable with their long beards. This was not the case sometime before. Many have made their return under the cover of MNLA,” [National Movement for the Liberation of Azawad, the political and military organisation that fought to bring independence for the north in 2012]. On August 25, many people demonstrated in Gao to express their anger over the presence of Islamists or suspected collaborators. “Some have carried arms as Mujao militants and now they come back as if nothing had happened,” said a protester angrily. 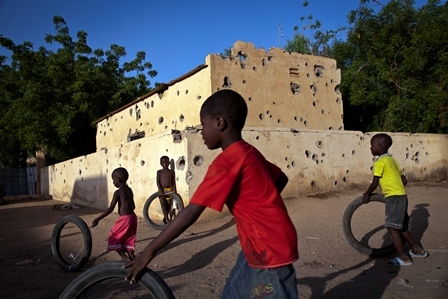 The French military intervention allowed the liberation of northern cities such as Timbuktu and Gao, but it did not completely eradicate the Islamist threat in Mali. Many Islamists who fought in the ranks of the three jihadist groups have now reinvented themselves. Some have joined the ranks of MNLA, seen by the international community as a movement whose grievances must be addressed. On the other hand, ex-members of Ansar Dine, have founded the Supreme Council for the unity of Azawad (HCUA), while several veterans of Mujao have gathered into the Arab Movement of Azawad (MAA). These two latter groups – HCUA and MAA – are now considered as ‘respectable partners’ by the international community and participate in the Algiers peace talks, alongside MNLA and Malian government representatives. As for AQIM fighters, many of them were reported killed in the mountain region of Ifogas in the far north of Mali, while others have sought refuge in Algeria, but also in southern Libya. From this region came the armed men who carried out the attack at the Algerian Gaz plant in January 2013. The bombers who targeted, in May 2013, a military barracks and a uranium site in Niger also came from Libya, according to Niger authorities. 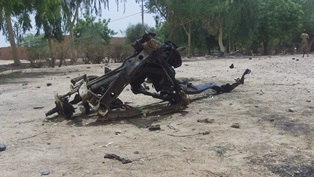 The remains of the car used in the May 2013 suicide attack in Agadez, Niger. For many analysts, Southern Libya has become a safe haven for jihadists, who are a threat to the sub-region. The Secretary General of the Episcopal Conference of Mali, Fr. Edmond Dembele, told the Fides news agency: “The international community needs to seriously take into consideration the problem regarding the stability of Libya, because the armed groups operating in the north of Mali take refuge in southern Libya and then return to our country to carry out deadly attacks. Therefore if the south of Libya is not stabilized, neighbouring countries such as Mali and Niger will suffer attacks” warned the priest.